Does your dog need to loose some weight? Struggling to do it? We can give you a helping hand. We take your pet's health very seriously. Put your dog to the test. If you can't easily feel your dog ribs and spine without applying pressure and the stomach isn't tucked in, chances are your dog is overweight. Some breeds are predisposed to obesity but the most common cause is over feeding, improper diet and lack of exercise. Which means its in your power to get your furry companion healthy and enjoy a healthier more active life with him. Why Doggy Fit Camp and not DIY? Should be easy, right? Feed the dog less, exercise them more and off the weight goes. True but we know that it's not that simple. We know how hard it is for ourselves to keep to a weight or exercise regime. In most cases only a health scare causing us to commit. Our dogs rely on us to do the right thing by them and sometimes many weight related issues aren't noticeable until they are at a severe stage. Being in fit camp eliminates what we call the 'sad puppy eye' trap. You have a special bond with your dog and he knows how to push those buttons for the extra treats or piece of food here and there. With our knowledge and nutritional experience it is easier for us to focus on the goal at hand but we can't guarantee goals if we aren't 100% in control over your dogs exercise needs and what they eat. Also life sometimes becomes busier and it may be hard for you to find the time to devote to your dogs weight loss plan and that's where we step in to do that work for you. Leaving you with the maintenance which is more in tune with everyday living. 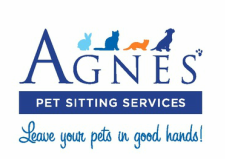 How does Agnes' Doggy Fit Camp works? Our weight loss methods are very different than a 'Fat Camp' or a 'Boot Camp' both tend to over emphasize intense workouts and very low calorie meals. Successful and sustainable weight loss requires so much more than that and Agnes' Doggy Fit Camp recognizes that. We offer a program that helps owners to change their dogs lives for the long haul. Owners will have the knowledge and experience needed to keep the weight off long after the camp ends. Our weight loss camp offers fun and excitement and lovely countryside walks (not a treadmill in sight). Simply put, we offer a supportive, successful and enjoyable experience for your dog. We can not guarantee exact numbers but we can guarantee a leaner, fitter, happier and more active dog. ​​I realized that I could combine my love of animals with my long dedication to holistic health and ​wellness. Studying holistic health for the last 14 years I have transitioned to an organic/natural lifestyle and following the Eight Laws of Health. I'm currently studying for my Canine Health and Nutrition Diploma. I hope to bring knowledge and passion to all of those who are pet owners.